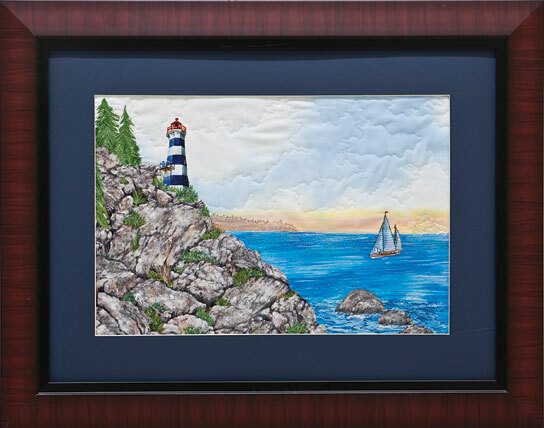 I created this design as a workshop sample for a New England cruise with Quilt Camp at Sea. I used wax pastels, Tsukineko inks, fabric markers, overlays of Angelina, and textile paint for the embellishments in this design. It is featured in my book, Quick Little Landscape Quilts.